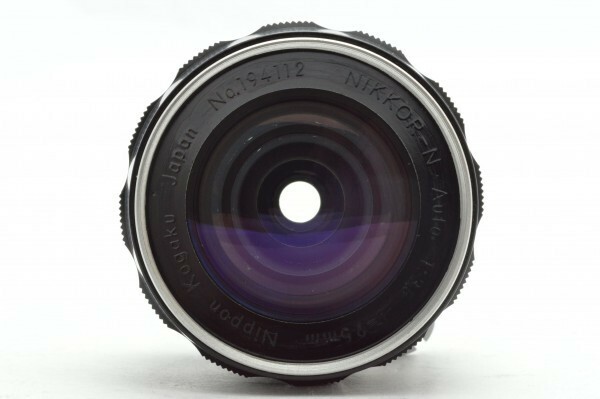 The appearance is very similar to the Nikkor-H 28/3.5 lens. 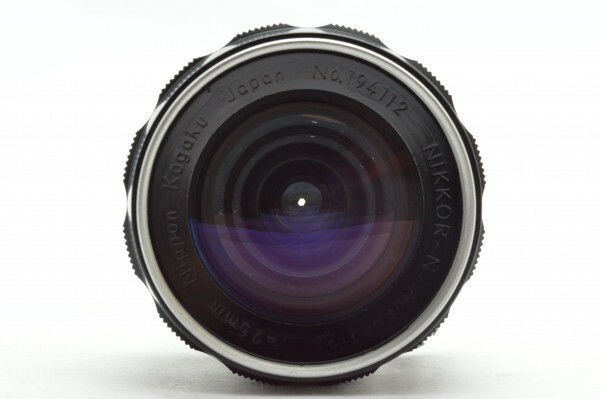 This is obviously a predecessor to the Nikkor-N 24/2.8 which entered the market in June 1967. 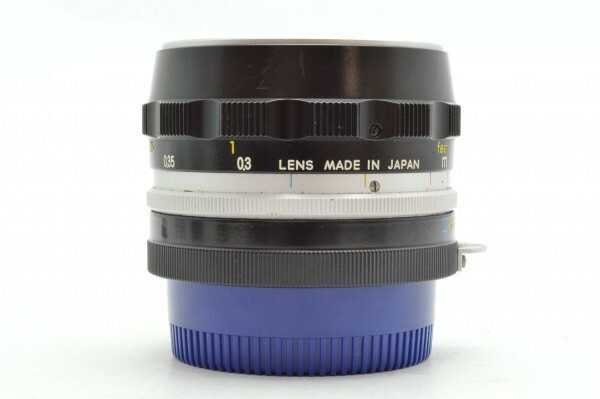 The focal length is marked in mm, focus scale in feet and m, no screws in the lens mount, and "LENS MADE IN JAPAN" has "M" has slanting sides, which suggests it was made between late 1964 and early 1966. 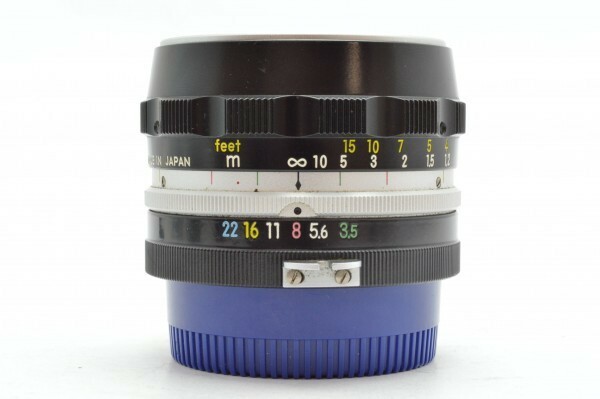 The focal length is 25mm, following on from the W-Nikkor 2.5cm 1:4 rangefinder lens. Later lenses have focal length of 24mm instead to provide greater separation from 28mm lenses. 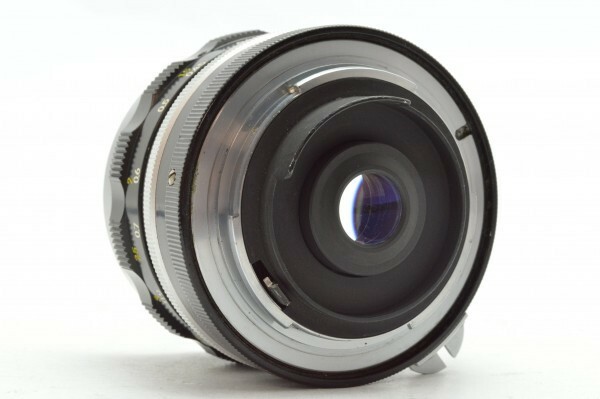 In turn, the 2.1cm (21mm) lens was replaced by a 20mm lens to give better separation from the 24mm focal length. 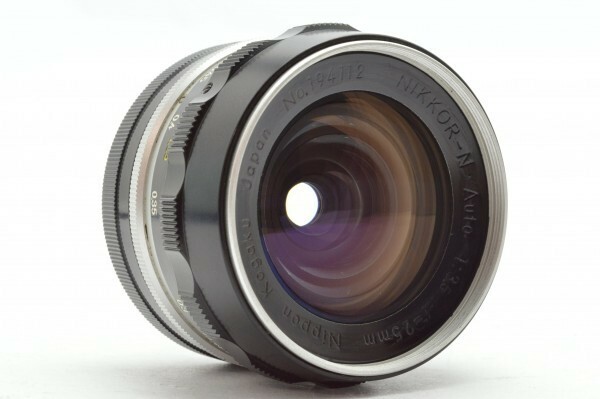 The prototype focuses to 0.3m which is half the distance of the Nikkor-H 28/3.5. 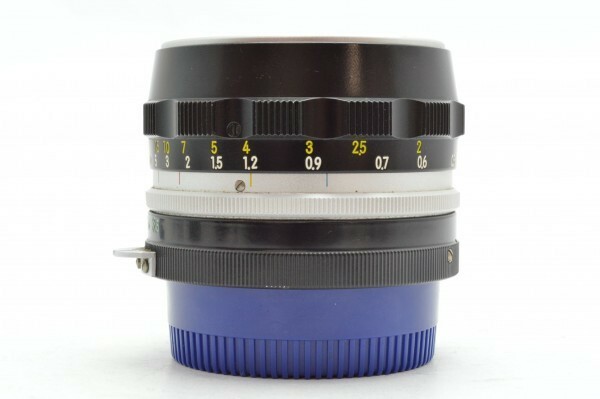 Since the 28/3.5 had very high optical performance, the degradation of optical performance at close range, which is inevitable with retrofocus designs, was more conspicuous. Therefore, the closest shooting distance was reluctantly limited to 0.6m. Had this problem been solved with this prototype - maybe it already had Nikon's close range correction system? 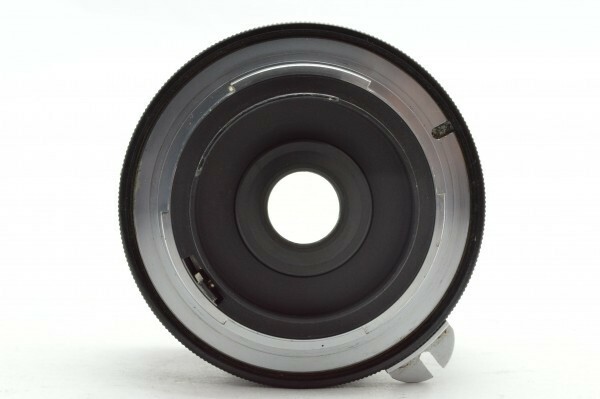 Or did it lack CRC, performance was insufficient, so Nikon did not proceed with production and went on to develop the CRC system for the 24/2.8?